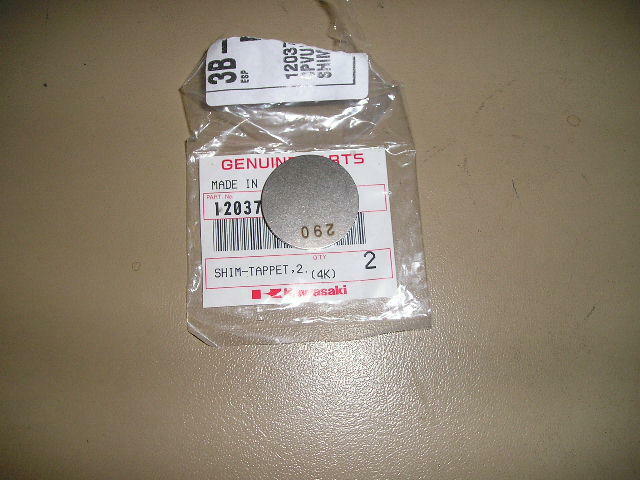 A VALVE SHIM FOR THE 900/1000/1100 AND Z1300 MODELS. ALL MODELS WITH THE SHIM ON TOP OF THE BUCKET. THEY RANGE FROM 2.00 UP TO 3.20mm in increments of 0.05, ie- 200,205,210,215 etc. These are the large type which sit above the bucket. Please select the size you need. OD of the shim is 29mm.